Callinectes sapidus. 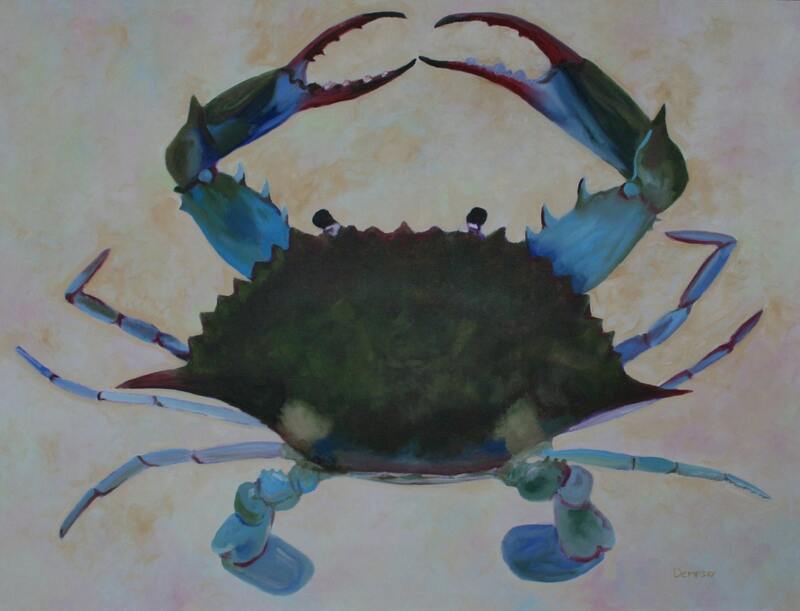 The Atlantic Blue Crab. Anyone who has ever had one of these guys scrambling around the bottom of his boat snapping at toes knows that they can be fierce customers. They are featured on the menus of crab shacks all around the Chesapeake and Delaware Bays, South Jersey, etc. This is a very large painting of one. I can also offer a print of this painting. It is 10 inches wide by 8 inches high. It is matted, so total size is 14x11. Note: The shipping cost quoted here is for the (very) large painting. Shipping the print will probably be under $10 - as always, I will refund the difference between quoted and actual costs.